Wow! 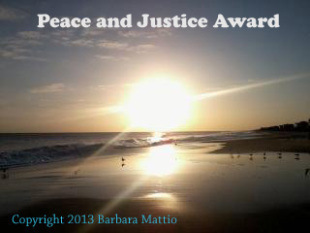 Positive Energy Flow and Affirmations are working Overtime for me :) Thank You! Wow, this week has started off on a really positive note 🙂 work has been great to me, my home life and friends have been fantastic, I spent two incredible evenings in the presence of and learning from a Tantric Yoga Guru, i feel wonderful and full of the joys of spring and I have also been bestowed with two nominations for blogging awards. 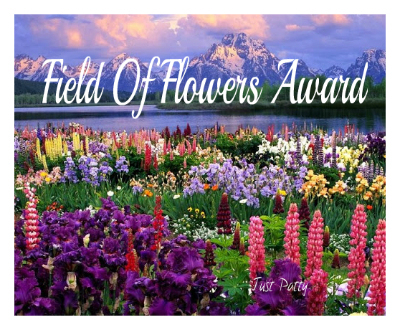 The Field of Flowers award as nominated by Morgan over at http://booknvolume.com and the Peace and Justice Award as nominated by Coach Muller over at http://goodtimestories.wordpress.com , please drop by their blogs and stay awhile. ← Take control of YOUR LIFE NOW, don’t let it waste away into never coming tomorrows!